The way Americans are thinking about retirement is creating ripples of dramatic changes leading to a paradigm shift affecting policy, politics, behavior and the social fibers of our nation. As Baby Boomers reach the age of retirement many new challenges and opportunities are emerging. Boomers are a diverse population, yet as a generality, Boomers do share some common ground with each other: Strong work ethic, self-assured, competitive, resourceful, disciplined, team-oriented. Boomers tend to have incredible focus on meeting their goals. 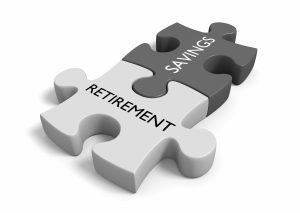 It is no wonder that investors, retailers and even property managers are taking notice of the unique opportunities presented during this fundamental shift about the way American’s think of retirement. 10,000+ Baby Boomers are retiring daily, with that number increasing yearly. Life expectancy is longer than ever before. Boomers are arriving at retirement with expectations. 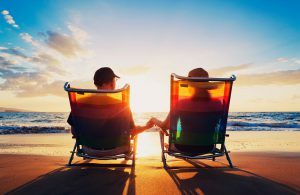 Many of these coming of age folks want to enjoy their retirement years and anticipate spending the wealth they’ve accumulated, and taking a more leisurely pace in life. 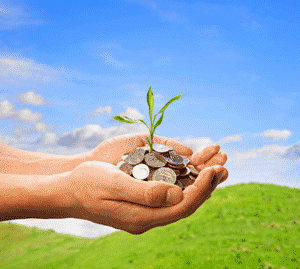 Alarmingly, in contrast, others have not saved enough, or have had their investments shaken by unstable economic conditions leaving some Boomers to anticipate working well into their golden years. Retirement brings both relief and obstacles to the lives of Boomers. Boomers have been at the helm of their families, during their working years balancing career and family. 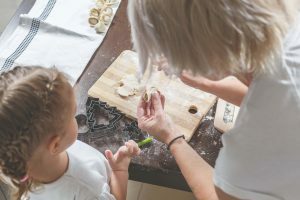 Not surprisingly, many of this generation are arriving at retirement while still playing a vital role in the lives of their children and grandchildren, but many are also now needed as caretakers for aging parents. Some Boomers are choosing to purchase neighboring homes for their aging parents or move them closer, but with the peace of mind of a care facility to assist with the more physical aspects of caring for a loved one. Downsizing can make retirement more enjoyable. Less house, but more home! Another way that Boomers are addressing the challenges of retirement is by downsizing and purchasing affordable housing. Moving to Florida is a bucket list dream for many. 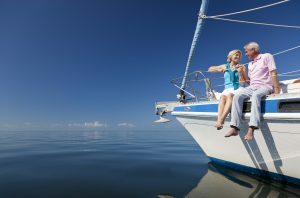 Some Boomers opt to become snowbirds and enjoy the best of both worlds. The cost to live in Florida is comparable or lower than many other places in the nation. Florida has a lower tax rate and does not have a state tax which makes it quite enticing. In the manufactured housing industry owners and investors know that they can offer some prime advantages to new retirees beyond just the economics. There has been considerable reinvestment in communities. It is clear that retirees want to enjoy their free time. Clubhouses, shuffleboard courts, billiards, and heated pools have become the standard. Retirees want to remain active. 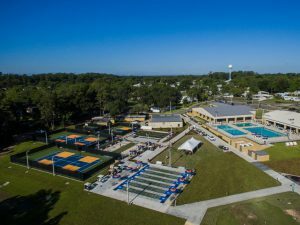 Tennis courts, pickleball, lap lanes in pools, and fitness centers have become very desirable amenities. Some larger communities even have golf courses, saunas, restaurants and more. Community managers know that retirement is a social time. Planned activities are often a deciding factor for Boomers when choosing which community to settle into and call home. Many have moved south for the warm, sunny weather and the Florida lifestyle, leaving behind family and friends. This can be an overwhelming transition for some, but community living has advantages when it comes to staying active and making friends. As newcomers join activities, residents tend to be welcoming and their common interests create strong ties. They often report these new relationships feel like extended family and lifelong friendships have been created. No doubt that even in retirement the Baby Boomers continue to be a generation that has changed our nation. Baby Boomers continue to redefine retirement. Aging is no longer about growing old gracefully, it is about living more, new beginnings, and chasing passions. And who is more qualified to challenge the status quo than the Baby Boomer generation? Rememb er your grandma’s mobile home park? Nothing to do, rickety houses lining disheveled streets. Today’s four and five star manufactured home communities are a far cry from those, and investors are taking notice. These communities offer green spaces, amenities and high-end homes that offer the convenience of single-family homes without the cost. From fitness centers and clubhouses, to activities and luxury swimming pools, these communities are becoming more and more attractive to investors. In business terms, they offer stable returns, long-term occupants, and a relatively low capital cost to maintain the properties. The financial risk is relatively low as well. Second only to self-storage, these communities have one of the lowest rates of default. It also has the second-highest net operating income growth, making manufactured home communities very attractive to both mom-and-pop, along with large investors. Speaking of mom-and-pop, they make finding a manufactured home community for purchase difficult. The stability of the asset encourages long-term ownership, and the assets are often kept in the family. Still, investors in the market can often find a distressed property with 50% occupancy in need of repairs and community spaces. Besides mom and pop owners, large companies own a majority of the parks in the Untied States. Sun Communities, Equity Lifestyle Properties and RHP Properties are the top three owners, with a combined ownership of 200,000 sites. An increased demand for manufactured housing from baby boomers and young families has encouraged lenders like Fannie Mae and Freddie Mac to announce an increase in manufactured housing production goals. The average cost of a manufactured home, minus land, is $70,600, compared to nearly $300k for a single-family home, according to the Manufactured Housing Institute. Due to their affordability, manufactured housing falls outside of the institutional lending limit caps set for Fannie and Freddie. Interest rates have remained low, and borrowers have the option to shop around for the load terms that best suit the mobile home community, and the market. Because of this, borrowers benefit from a competitive product with a low interest rate, and a good return in a low-risk environment. In the meantime, demand for manufactured homes continues to rise, leaving investors on the market searching for the next good deal. If you’re looking for a new construction home, you could save up to 47% just by using this one simple tip. Don’t be scared of manufactured homes. A recent study by the Urban Institute’s manufactured housing sector, compared the costs between manufactured homes, new site-built homes and existing site-built homes. The study found that manufactured housing is 35 to 47 percent cheaper per square foot than new or existing site-built homes. Despite this, the number of manufactured homes shipped each year has gone from averaging 242,000 per year between 1977 and 1993, to just 92,500 units in 2017, even though homes today are much higher quality. This phenomenon is thought to occur for a number of reasons, including restrictive zoning, unavailable finance, and lower appreciation. The stigma on manufactured homes prevents many Americans from attaining affordable housing. We are going to debunk some of the stigmas above, including financing, zoning and appreciation. More and more financing is becoming available through programs like Fannie Mae and banks like Wells Fargo. Fannie Mae is launching a 30-year financing program in New Hampshire that could be a starting point for government-sponsored enterprises (GSE) to offer similar loan terms nationwide. In 2017, Wells Fargo hired two experienced manufactured housing executives to help expand into the industry, Matt Krasinski and Lew Grace of GE Capiutal Real Estate. Changes like these are coming to the industry all the time, offering more ways for people to finance and purchase manufactured homes. Furthermore, HUD is exploring the possibility of deregulating manufactured housing. 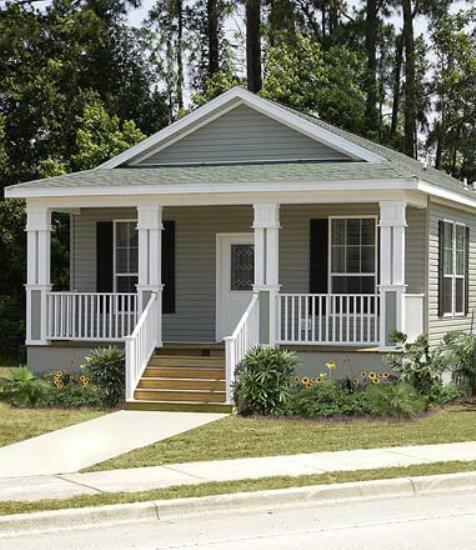 HUD announced that manufactured housing plays a vital role in meeting that nation’s affordable housing needs, providing nearly 10 percent of the total single-family housing stock. 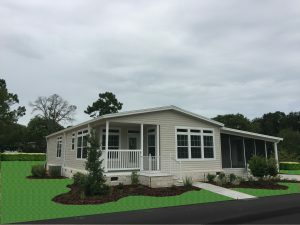 Manufactured homes, which are built on a permanent chassis in a manufacturing plant and then transported, are constructed according to a code administered by HUD instead of according to state, local, or regional codes, like other types of housing. In addition, today’s manufactured homes are built to much higher standards than before, which means their appreciation happens much more slowly. 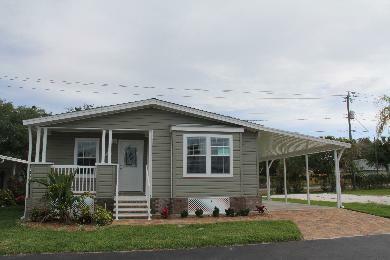 New construction manufactured homes meet rigorous building, environmental and safety standards. Many come with everything from granite counters and tray ceilings to stainless steel appliances and beautiful raised porches. 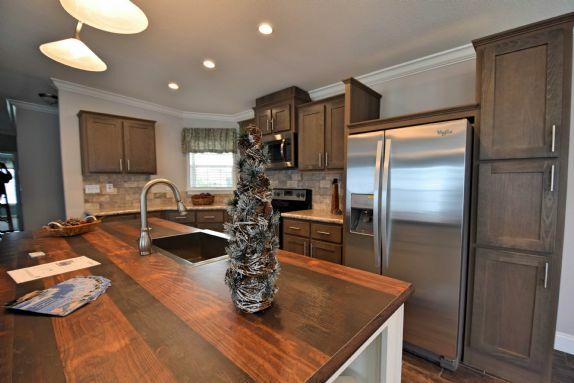 You can choose from flawless vinyl wood flooring, large bathtubs, exquisite kitchen islands, open floor plans and a variety of modern upgrades. Plus, most new homes are energy efficient and come with a full warranty. We hope this has opened your eyes to the exciting opportunity available with new construction manufactured homes! The U.S. Department of Housing and Urban Development (HUD) started the new year by trying to delay Obama-era segregation measures. But now the agency has something new in its crosshairs: manufactured housing. HUD announced last week a “top-to-bottom” review of all current and pending regulations related to manufactured or “mobile” housing as part of an effort to address affordable housing shortages. HUD will accept public comments about manufactured housing regulations through the mail or at regulations.gov until February 26, at which point comments will be submitted to the Manufactured Housing Consensus Committee—a statutory committee of mobile home producers, retailers, customers, and public officials—for review. Changes to prefab regulation could follow. Shortly after taking office, President Trump signed two executive orders related to deregulation. The first, Executive Order 13771, requires agencies to repeal two existing regulations for every new one it enacts. The second, Executive Order 13777, requires each federal agency to designate a “Regulatory Reform Officer” and a “Regulatory Reform Task Force.” Both executive orders were noted in HUD’s announcement. Since taking over the agency a year ago, HUD secretary Ben Carson has been slow to reverse many of the Obama-era regulations that were meant to address affordable housing needs and urban segregation, which he previously assailed as “failed social engineering.” Carson was slow to fill many of the high-level positions within the agency, and many second-tier positions remain empty. Carson, who grew up in poverty and became a renowned neurosurgeon, took over the agency despite having no experience with housing issues. Earlier this year, Carson’s attempt to “delay” the Obama-era Small Area Fair Market Rent (SAFMR) rule—a measure designed to give Section 8 housing voucher recipients more freedom in housing choices—was ruled by a district court to be in violation of the Administrative Procedures Act. The rule is now being implemented, according to HUD. Shortly after the ruling, Carson announced the delay of another Obama-era segregation measure—the Affirmatively Further Fair Housing rule—but given the similarities to the SAFMR case, observers expect it to be challenged in court by civil rights activists as well. First impressions are important. So what could be more important than the first impression of your home? Since we are getting ready for spring we are giving you 5 expert tips to give your home some curb appeal on a budget. Save money and make your home look great. Are you ready? Let’s get started. Okay, this one isn’t very much fun but it’s probably the most important step. Take a weekend to really clean the outside of your home. Power wash your house, mow the low, trim bushes, weed your plants and clean clutter. This gives you a clean space to start your journey. A little DIY landscaping won’t cost much and can add some serious curb appeal to your home. This manufactured is livened up with some lovely tropical shrubs and plants. You could even paint the bird bath and plant some flowers in there for some extra character. Pick out flowers that can survive the heat in Florida and make sure they are colorful! 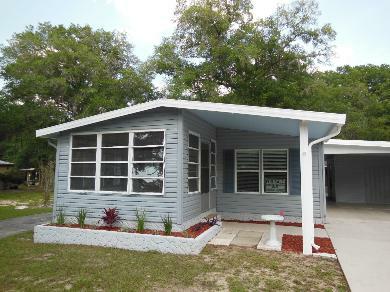 This manufactured home is well-cared for and appealing. The outside of the home is cleaned and repaired. Doing small updates, like repairing any damaged siding, painting, fixing gutters and watering the grass can give a home new life. Try to tackle projects big to small. 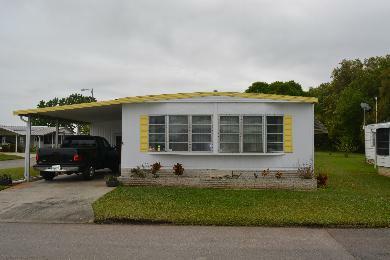 This adorable manufactured home features yellow shutters and trim to really give a pop of color to this home. Paint those to suit your own tastes. Choose colors that will complement the flowers you place in the front garden. Another quick tip for this home is to power wash the driveway! This beautiful home needs no work, but you can add touches of character. Paint the front door a cool color. A nice red would look good on this home and would make everything pop. You can also add some more plants and a few chairs to the front porch. Enjoy the new year, and the new look these simple touches can give your home! Selling your home is stressful, but preparing to sell it can be just as challenging. We’ve discussed some ways you can get your home looking great for sale, how to take dazzling pictures and why you need to respond quickly. Now, we’re going to talk about the pros and cons of selling your home without an agent. No Commission Fee: Generally there’s an agent commission fee of about 6%, so a home listed for $250,000 would have a commission of roughly $15,000. You Know Best: Who knows your home better than you? While a realtor may be selling several homes at a time, you are just selling your and you know it best. You’ll be able to point out amenities, features and tell the buyers candidly about the area and neigborhood, something a realtor can’t do. You Are In Control: When you sell your home, you can choose the price, appointment times and how you negotiate with buyers. Realtors generally take control over these things when they become your agent, so if you don’t feel comfortable with that sometimes it’s best to do it yourself. What’s it Worth? : When you sell your mobile home yourself, you’re risking selling it for a lot less than it’s worth. In fact, statistics show that homes without an agent sell for about 15% less than homes sold with a realtor. Less Visibility: There are tons of great places to list your home for free these days, but the best and fastest way is through the Multiple Listing Services. This is one of the biggest online tools available to realtors and they have more experience in promoting homes. Time: Researching the process of selling a home, understanding the current marketing, advertising methods and working with potential buyers is all very time consuming. Hiring a realtor who knows this already will get your mobile home sold much faster. Paperwork: Preparing the legal forms is your responsibility, so if you aren’t sure how to do it, you’re risking legal and financial liability. Plus,k you don’t want to rely on the buyers realtor to fill out this information, they have a responsibility to get their buyer the best deal possible. Weeding Out Buyers: There are lots of buyers who aren’t qualified or are just window shopping. 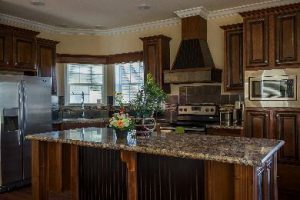 One thing realtors do is to make sure they are bringing prepared buyers to see your home who can afford to purchase it. There are lots of pros and cons to selling your mobile home with a realtor. If you’re ready to take on the task, visit some of our other articles to see how you can best prepare your home for sale. 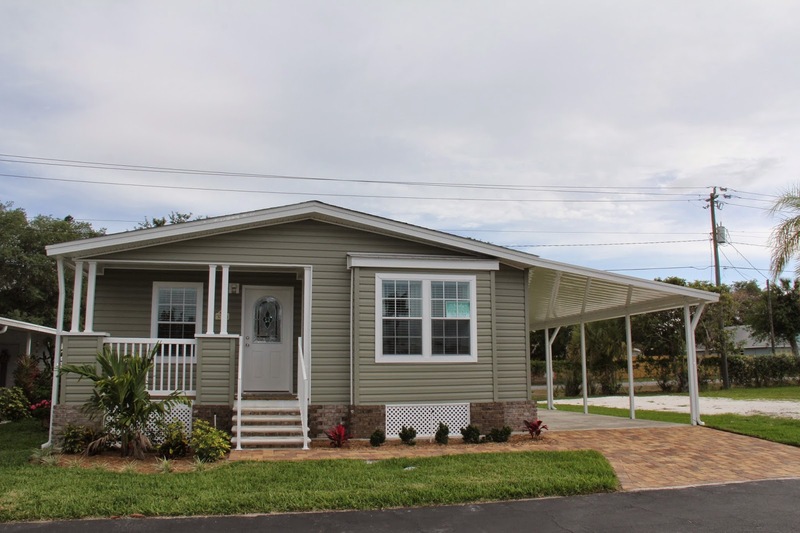 If you’re selling a mobile home in Florida, give us a call at 941-721-0046 so we can see how our dedicated sales team at Newby Realty can help you sell your mobile home fast. 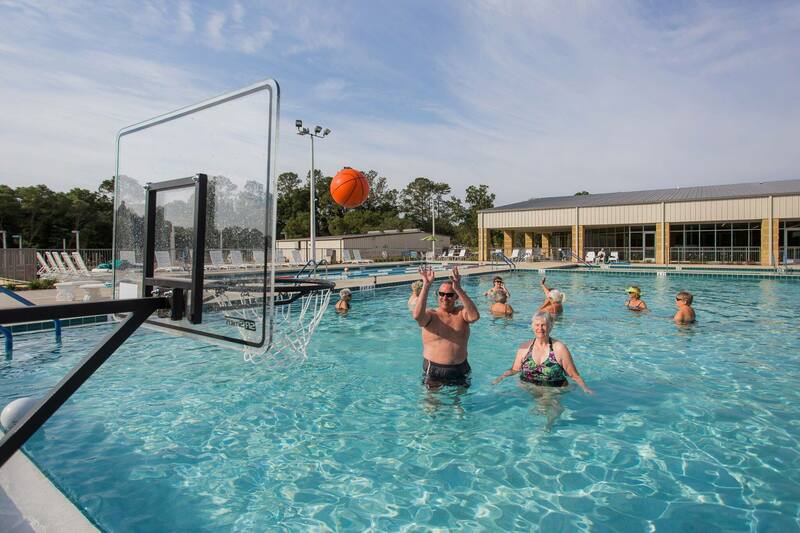 Residents at Rolling Greens, Ocala, staying active. If you ever talk to someone who loves where they live you’ll often hear the same thing. They love the community! For many people living miles from family, the friends surrounding them become their loved ones. Fostering this feeling in your manufactured home communities and RV Resorts is so important. These communities aren’t just houses in close proximity, for many they represent home, family and a sense of belonging. But communities like this don’t just happen, they are built over years and become neighborhoods sharing experiences, laughter and love. 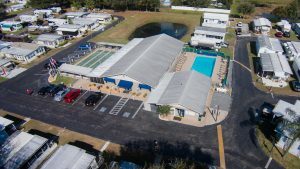 At Newby Management, we believe this sense of community is one of the most important aspects of managing manufactured home communities and RV Resorts. As such, we wanted to give you five ways to help your residents get involved in your community. Each month, plan several events that will bring the residents of your community together. Whether it’s something small, like coffee and donuts, or something bigger like a potluck, your residents will enjoy getting to meet each other. Each event will begin to feel more and more like a family reunion. Today, communities are built in person and online. If you’re hosting monthly events in your manufactured home community, let people know about it! Get your residents talking on social media, whether you’re asking them to share pictures or use a certain hashtag. Eventually you’ll have a community of people who love promoting you! Plus, if your community caters to snowbirds they can stay involved during the summer months, too. When people move into your community, screen them for their interests. Create a form that lets people select the type of things they like to do. For example, photography, knitting, running, woodworking, etc. Then you can give your new resident information on others in the community who like the same thing, what time social clubs meet and how to best get involved. Some people are too shy to find people who like the same things they do, so this gives them a head start! If you’re hosting an event in your community, make sure to create some buzz. Pass out flyers, hang banners and get people talking. When people come into your office remind them about the event and tell them to bring a friend. Use social media to help your cause. If you’re excited about the events going on other people are going to get excited too! Once word gets around you’re more likely to have a full house. Sometimes people will come to events but will sit by themselves. Engage these people, talk to them about their interests, see if they filled out an interest sheet. If not, have them do one. Introduce them to people at the event with similar interests. Try to help them engage with the community around them. Sometimes shy people just need a little budge to become the social butterfly! At Newby Management, we believe strongly in the power of community. We strive to promote a sense of fun, friendship and fellowship for all our residents. That’s part of why we host strawberry socials in the spring and chicken BBQs in the summer. We love to see our residents get together and have good times! How do you promote resident involvement in your manufactured home community? Stylish New Home at Rolling Greens. Have you heard of Ocala’s best kept secret? Tucked away just minutes from the Ocala National Forest sits Rolling Greens, an idyllic 55+ golf community. Winding tree-lined roads give way to resort-style amenities, including a state-of-the-art clubhouse, an executive golf course, on-site social director, a fitness center and athletic fields. Active adults looking for affordable custom-built housing will now have access to exclusive incentives for brand new manufactured homes. These incentives will save buyers thousands of dollars on the land lease fee, which is a fee buyers pay in land lease manufactured home communities. In these types of communities, buyers own their homes, but not the land on which they sit. The lot rent at Rolling Greens is kept at a competitively low price, and covers base rent, water/sewer, lawn maintenance, curbside trash collection, access to amenities and monthly events. The on-site social director keeps the calendar stocked with events like yoga, swing dancing, cards, corn hole, golf tournaments, holiday parties, potlucks and more! Join our community and find out what’s going on today at Rolling Greens on Facebook. Combined with the affordability of our new manufactured homes, these incentives make living in Rolling Greens a steal. 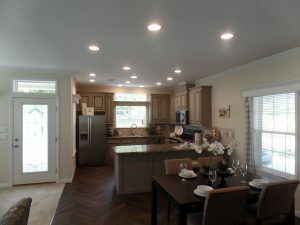 Starting at $115,000, our homes are not only modern, they are also energy efficient. Like comparable site-built homes, they include stylish upgrades like granite counters, stainless steel appliances and ceramic tile. For buyers looking to enjoy the Florida lifestyle, Rolling Greens is a great and affordable place to call home. With a yearly average temperature of 82, residents can enjoy breezy evenings outside with neighbors or a nice round of golf. Find out more about the incentives available, and Rolling Greens, by calling our dedicated team today. We’ll help you choose the home that’s perfect for your needs. Don’t miss out on this amazing offer. Could 30 Year Mortgages be Available For Manufactured Homes Soon? 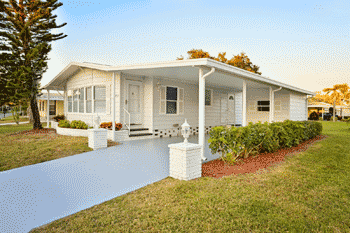 Getting a loan for a manufactured home can be difficult, but new 30-year financing plans could make it easier. Fannie Mae is launching a financing program in New Hampshire that could be a starting point for government-sponsored enterprises (GSE) to offer similar loan terms nationwide. The GSE is working with the New Hampshire Housing Finance Authority on the program to provide loans to manufactured homes located in resident-owned communities, or ROC’s. The program takes advantage of a New Hampshire law that requires all manufactured homes, whether located on owned land, in an ROC, or an investor-owned park, to be titled as real property instead of chattel. Chattel loans classify manufactured homes as personal property, rather than real estate. With the 30-year real estate loans, home owners could get up to a 95% loan-to-value ration with private mortgage insurance. For homeowners in ROC communities, these loans are great news for curb appeal. Most often, people are more likely to become invested in their homes if they are staying long-term. In an ROC, residents are responsible for the maintenance and upkeep of the community. Since homes eligible for financing are located in ROCs, Fannie Mae has more comfort from a risk-management perspective, since the borrower is less likely to walk away is there’s a problem. Although this is a great step forward for manufactured housing financing, ROCs make up just 5% of the communities nationwide. Right now, the Manufactured Housing Insistute is focused on making financing available to anyone seeking to purchase a manufactured home, no matter how they are titled or where the sit. Learn more about the program, and how the MHI plans to bring loans to all potential manufactured home buyers in the future at National Mortgage News.